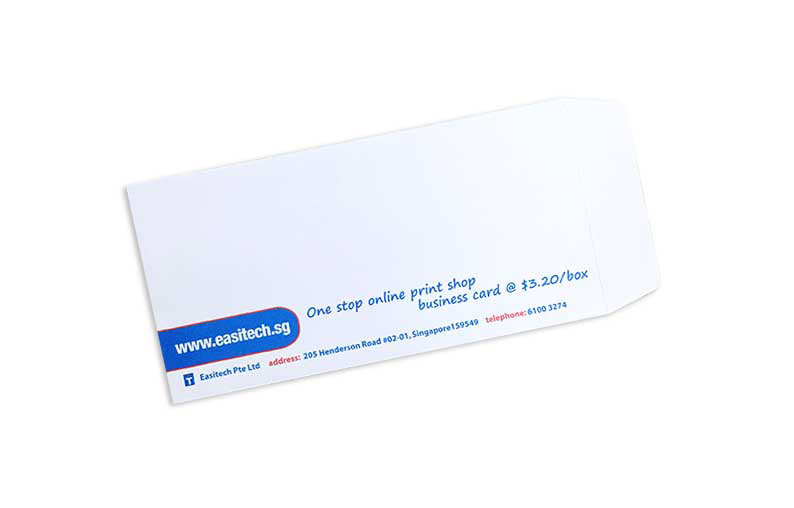 Easitech Pte Ltd offers envelope printing services in Singapore. Our customers included multi national companies and local small businesses. 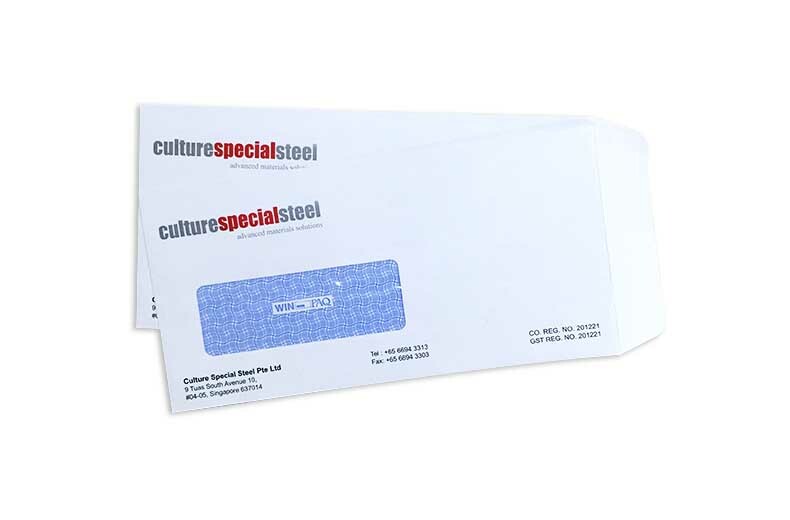 We print business envelopes by using ready made envelope or customised size envelope to meet our customers' needs. The common use envelope size are in DL Size (4.25"X8.75"), C5 Size(6 3/8"X 9"), C4 size (9"X12 3/4"). To achieve higher color accuracy, we encourage customer use Pantone color for envelope printing. Please refer our price list below for ready made envelope or request quotation thru email if you need a customised size business envelope printing. 4.25"X8.75" (DL Size) with window, Open along 4.25"
4.25"X8.75" (DL Size) without window, Open along 4.25"
6 3/8"X 9" (C5 size) without window, open along 6 3/8"
9"X12 3/4" (C4 Size) without window, Open along 9"
Click here to download envelope design template in adobe illustrator format.